How Much of My Personal Information Is Released During Bankruptcy? Is it too much to ask for a little bit of privacy? If you follow the news at all, then you’ve probably heard countless stories about people’s personal data being stolen, leaked, or misused. Banks, credit reporting agencies, major retailers, social media platforms – seemingly no organization is immune from prying eyes finding out consumers’ most sensitive information. And yet, plenty of people today put out their personal information more willingly than ever before, whether that means conducting all their business online, or freely handing over their private information on social media. However, with that said, there are still many aspects of life where just about everyone would prefer to keep their information under wraps. For example, very few people want to broadcast to the world that they are struggling with debt, or have filed for bankruptcy or some other form of debt relief. As we’ve noted on this blog before, there are many myths, misconceptions, and misguided beliefs out there about bankruptcy. One area where many people have concerns is in the issue of privacy. In some cases, people hear that bankruptcy is a matter of public record, and fear that going after bankruptcy is going to end with all of their “dirty laundry” being aired out in front of their friends, colleagues, and neighbors. Others, knowing that declaring bankruptcy will stay on their credit report, fear that they’ll be followed by the stigma of bankruptcy for the rest of their lives, with employers, landlords, and businesses all judging them for their actions. In reality, of course, the answer is somewhere between all those extremes. First, it’s important to understand that bankruptcy is a matter of public record, and, out of necessity, the process will require divulging some of your personal information to certain parties, such as your bankruptcy trustee and some of your creditors. What’s more, the fact that you filed for bankruptcy will follow you, and impact your life in large and small ways, for a certain period of time – usually five to ten years, depending on a number of factors. But in many cases, it’s certainly possible to keep most of your bankruptcy process fairly private. And in any event? Many people find that getting the chance to discharge or restructure their debts, and hit “refresh” on their financial life, is worth the minor hassles and inconveniences that may come about as part of the process. Who Can Find Out About Your Personal Bankruptcy? 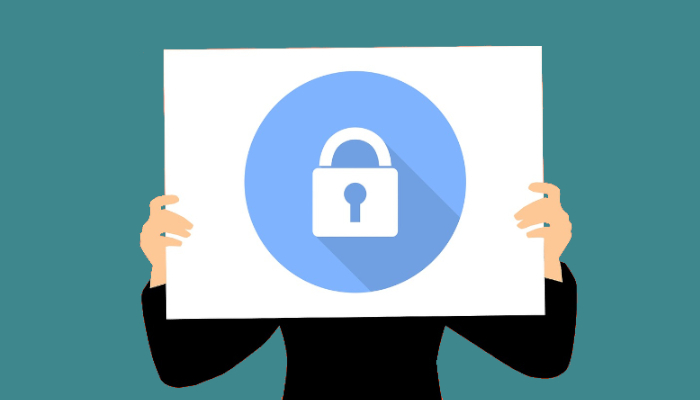 As you weigh personal bankruptcy as a potential strategy for debt relief, protecting your privacy and your personal information is one factor that you may want to take into consideration. Bankruptcy is a matter of public record. In some ways, your name will most likely always be associated with bankruptcy, even once it’s been excised from your credit report. However, this is not to say that you need to go around wearing a t-shirt that says “Chapter 13” and telling everyone you meet. Instead, for the most part, having information on your public record means that information about your bankruptcy will remain in a public records system called PACER. By and large, this system is used primarily by attorneys and creditors. Users must be registered to access PACER, and it generally isn’t something that the public often digs through. Sensitive information, such as your social security number, is also not accessible through this platform. Your name may appear in a local newspaper, on TV, or online, if an outlet near you prints public notices. However, this is becoming less and less of a common practice, particularly in larger jurisdictions. At the start of the bankruptcy process, you must typically go through a “public forum,” and meet face-to-face with your creditors. Technically, this is an open meeting, but it is very rare for members of the general public to attend these hearings. They are intended for debtors and creditors to discuss the specifics of a bankruptcy filing, as overseen by an appointed bankruptcy trustee. When you file for bankruptcy via Chapter 7 or Chapter 13, you are required to list all of the entities to whom you are in debt, so that they may be notified of the bankruptcy process. If you are indebted to a member of the general public, or to an organization that may employ people in your community, they may become aware of your bankruptcy, largely as a matter of necessity. Personal bankruptcy will remain on your credit report for a number of years – typically up to ten. During this time, if you apply for credit, a rental, or certain jobs, and give a third party consent to pull your credit report, they will become aware of your bankruptcy. Now, this is all painting with a broad brush. It’s also important to realize that no two bankruptcy processes are ever going to be exactly the same. People are unique, and their bankruptcy cases are one-of-a-kind, as well. To understand all of the ins and outs of the bankruptcy process, including what personal information you may have to report, you may want to consult with an experienced bankruptcy attorney in your area. A bankruptcy attorney can help you understand all of your options when it comes to bankruptcy, including whether this course of action is going to be right for you. As you get started, your attorney and their staff will also be able to field your questions, including any concerns you may have about publishing practices and record-keeping in your area. Have any further questions or concerns about bankruptcy? Don’t hesitate to get in touch with our office to keep the conversation going. Whether you are a business owner, a wage earner, retired, or otherwise, we can address your specific situation with strategic plans to help put severe indebtedness behind you, so you can enjoy life again. The Gunderson Law Firm can help can get you actual, straightforward answers for your unique situation – no need to search for all the variables and hope you don’t miss any key detail.